With a grand look and feel, this Memory Foam mattress is sure to grant you a luxurious night’s sleep. 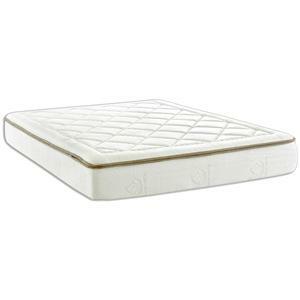 This mattress features a plush euro duvet top which provides cushioning support for side sleepers. 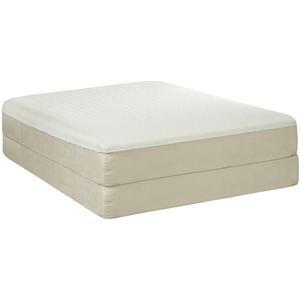 A two inch layer of premium Airflow Pressure Relief Memory Foam relieves pressure points along the body so you can sleep soundly with less tossing and turning. 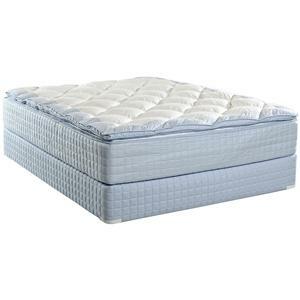 High density border edge foam is added below the memory foam level, and surrounds the entire mattress to provide stronger edge support and tailoring. For an optimally fresh, healthy sleep environment, consider this unique gel memory foam mattress. Incorporating natural materials and technologies to deliver supreme comfort and satisfaction, this mattress is safe for you, your family, and the world around you. A generous layer of PureGel-infused memory foam conforms to the exact shape of your body while keeping you at a comfortable sleep temperature. The poly knit cover incorporates Tencel, a natural, biodegradable wood-pulp fiber. This high-performance memory foam mattress cradles you in conforming comfort while keeping you at a cool, restful sleep temperature. A PureGel infusion near the top of the mattress efficiently wicks away heat, while the Tri-Tech memory foam below molds to your exact shape, delivering optimum back support and pressure relief. Expanding the usable sleep surface right to the edge of the mattress, a sturdy foam edge encasement strengthens your bed and provides a solid seating edge. This high-performance memory foam mattress cradles you in conforming comfort while keeping you at a cool, restful sleep temperature. A PureGel infusion near the top of the mattress efficiently wicks away heat, while the Tri-Tech memory foam below molds to your exact shape, delivering optimum back support and pressure relief. Expanding the usable sleep surface right to the edge of the mattress, a sturdy foam edge encasement strengthens your bed and provides a solid seating edge. Foundation not included. This mattress incorporates the best materials from nature to bring you a sleep surface that conforms to your unique shape and disperses pressure while keeping you at a comfortable sleep temperature. PureGel Memory Foam with PureGel Spheres utilizes a cooling gel infusion, offering flawless body support without ever overheating. Natural processes and technologies keep your sleep surface fresh by killing bacteria, reducing moisture, and eliminating mildew. 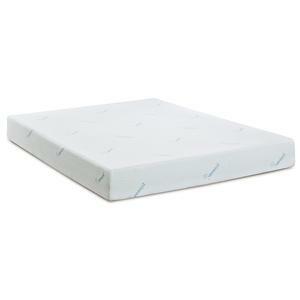 This Memory Foam mattress offers conforming comfort and support for a better night's sleep. Aloe Vera is added to the cover to create a fresh, healthier sleep surface. 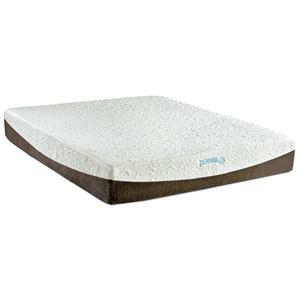 Quilted to the top of the mattress is a one inch layer of CertiPUR-US memory foam, followed with a 2.5 inch layer in the body that will relieve areas of pressure and allow you to completely relax. The high density foam core base provides ideal support, with high density border edge foam surrounding the mattress for a stronger, more durable mattress edge. Allow the comfort of memory foam to cushion you throughout the night. This mattress features a two inch layer of premium Airflow Pressure Relief Memory Foam at the top, which helps reduce body heat transfer and increases ventilation to keep you cool and comfortable. Providing even more pressure-relieving comfort is another two inch layer of premium memory foam, with convoluted foam and support foam layers for added comfort. 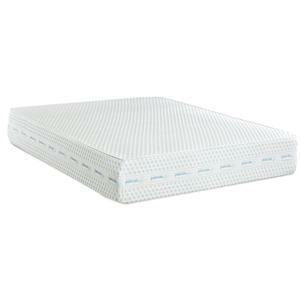 The high density foam core base provides ideal support for a good night’s sleep. 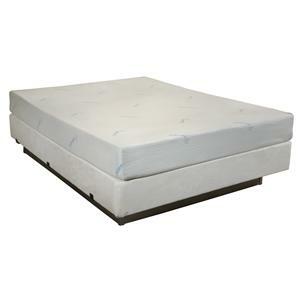 This Memory Foam mattress bring you a more restful and comfortable night's sleep. A soothing layer of Airflow Pressure Relief (APR) Memory Foam is added across the entire body surface of the mattress for complete comfort. The APR memory foam increases ventilation to reduce body heat transfer and also relieves areas of pressure while you sleep. A base layer of high density foam provides ideal support. Foundation not included.